time we have run the event and to reflect that we have expanded slightly to allow an additional team. We have also added scoring options to increase the fun of the games. Once a team has signed up we respectfully ask the team captain to ensure three players in total attend as substitutes may not be available on the day. TO retains the right to rule out some choices for the sake of game balance, we are looking for fun games and the best players, not the best lists! The army must be picked from an army book and not a campaign book or PDF release (exceptions will be made for some where lists are historical and not OP but please check first). If it is generic it still has to be historically credible. 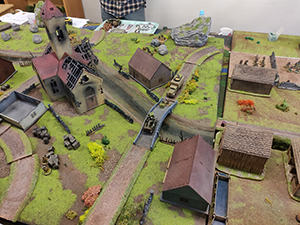 Teams will play three rounds against the three other teams using the opposing army lists (eg an Axis team will play all Allied teams), pre allocated, with a round consisting of three games. Captains will be shown each-others team’s army lists and will roll off. The winner of the roll off picks a table from the three available and then picks his first player, the opponent captain then selects his player to counter and play against that opponent. Final match-up is the remaining table and players. There will be nine tables, all set up for specific missions. The tables will be designed to be themed for the missions played and for the set up zones. 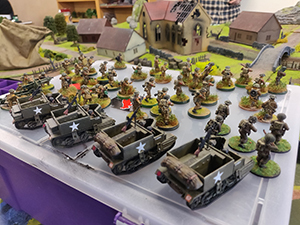 The missions will be based around the 12 in the core rule book for Bolt Action with some adjustments, so please read the missions as they will differ to the book. SSWG will arrange bacon rolls and there is a tuck shop with snacks and drinks at the event. the end of the close. to come by train we will arrange collection at the train station and return. 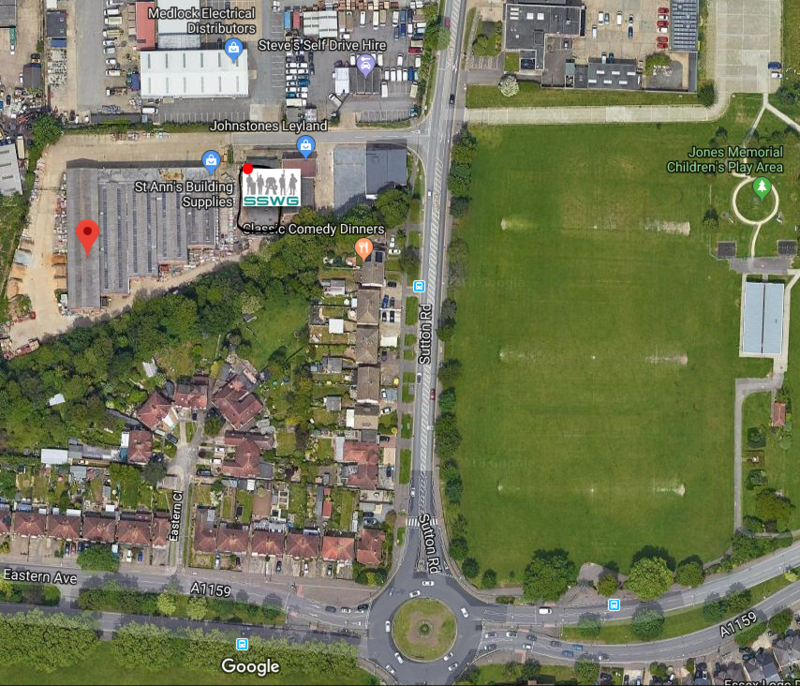 Our nearest airport is London Southend Airport! For those having to travel further distances, there are several budget hotels in the local area. 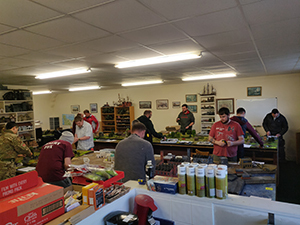 Alternatively, there is a good chance members of SSWG can help out by finding spare rooms for those wanting to arrive Friday night. Be warned that you will likely be dragged out to our local pubs that evening! Bonus points for meeting tourney requirements. A total of 25 points is available per player. Real army- Army list is historical on a particular front at a particular time- one point per list. Real unit- Army list is based on an actual unit and is realistic- one point per list. Timeliness- one bonus point for lists in on time. Painted- the army is painted to any standard (this doesn’t mean just undercoated! )- one point per list. The army is a Japanese single platoon list based on the 62nd Battalion that fought in the 62nd Division at Hacksaw ridge in Okinawa. It is equipped to reflect this, using the Sugar Loaf Hill list in the Armies of Japan book. It has been painted to a three colour minimum and the list was sent in on time. considered to have surrendered and so your opponent would score all the order dice as killed. want to encourage aggressive play. Special missions are as below. Score one point if you complete a special mission during a game. You can only score one per game and can only score a mission once, so you could not for example score “decapitation” in two different games. 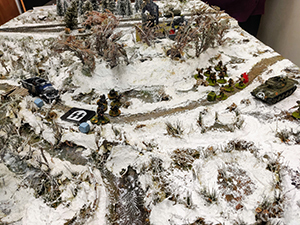 moved on the battle map. Secondaries will also be placed on the board and will be the same as normal objectives. With regards to dice killed, if you destroy a unit that is worth 200-299 points then this is worth two dice when chalking up the dice count. If the unit is worth over 300 points then it is worth 3 dice for dice counts. This is used on all missions. 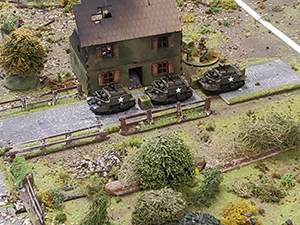 To claim an objective you must have an infantry or artillery unit in contact at a turn’s end with no other enemy infantry or artillery units within three inches. Note that vehicles can never claim or contest objectives. Occupied transports would need to debus their occupants to allow those occupants to claim/ contest the objective. Note that infantry does not include spotters or medics or chaplains but does include forward observers, MMG units etc. ground for a ground placed objective or on the correct floor of a building. spotting for is removed (clarification). Medics also can not secure objectives (forward observers can). you and the target provides -2 hard cover, unless you are within an inch of it. Line of site is drawn from the breech of the firing weapon and distance is measured from the breech. window (unless you are in the building!). This is true of ruins also when treated as dense terrain. Snipers can not kill team weapon squads unless they are down to two men/ started with two men. (This is to make MMG teams more practical). placed on the board but may not be on the other side of the rail tracks from their own side. not have Arty support available in this sector. been dispatched to secure the rail track in this section. Secure the objectives on the train line (three). no order test needed. Other units may be in reserve. enemy to withdraw from the battlefield, otherwise the result is a draw. but does score one point to your overall total. cover for vehicles which are too high and can be clearly seen. 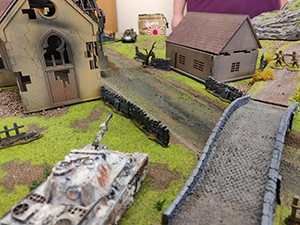 table edge as is the Allied player’s. reserve and may NOT flank in this game. The Allied player than does the same. Forward deployment is allowed and these units may start in the other quadrant to the right. The Axis player will deploy any forward deployer first and turns then alternate. as much for survival as victory. Securing outflanking sections will be critical to the victory. At the end of the game calculate which side has won by adding up victory points as follows. If a player has won by 2 or more VPs then they have won, otherwiseresult is a draw. moves through it the road block is removed from play. player’s short and long table edges/ Objectives will be at least 12’ apart and 12’ from any table ledge. count. If set on fire then neither player can secure the objective. unit. The Axis player deploys first and then turns alternate. 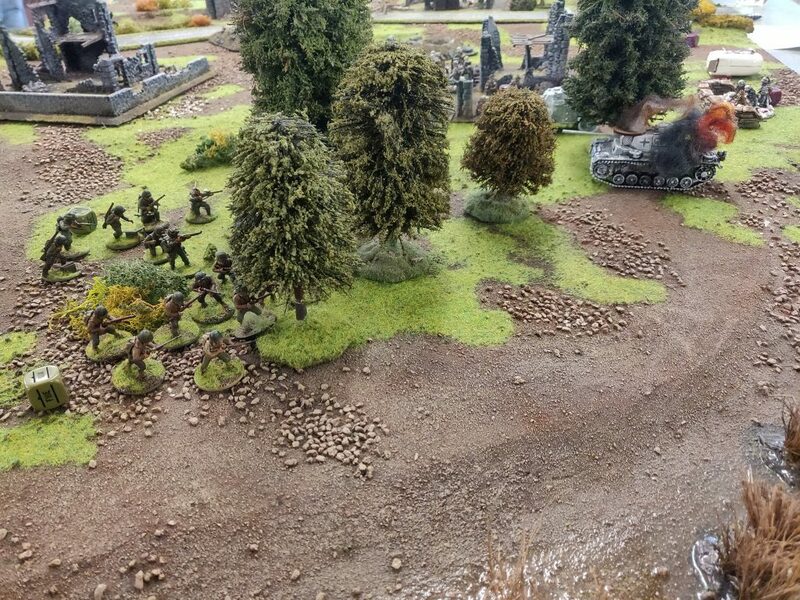 units will begin the game in reserve and may flank but only on the Axis right hand side. reserve and may outflank but only on the Allied players right hand side. the Allied pursuit and allow their comrades to withdraw safely to a new defensive line. Set up is unusual in that the board is split diagonally. units begin in hidden set up. All other vehicles must begin in reserve and may outflank. begin the game in hidden set up. All his other units must begin in reserve and may outflank. Forward deployers who are not in reserve are deployed after both players have set up other units. 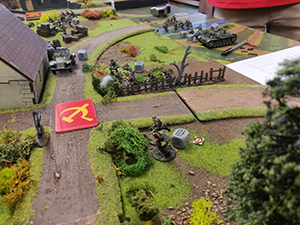 The Axis player places the first unit then alternate. Axis player declares reserves first. points than his opponent they will win, otherwise it’s a draw. When the central objective is secured for the first time, call the TO immediately! A prep bombardment strikes the defender’s positions automatically with no roll. starting on the board but can come in as outflanking units. is required to enter as part of the first wave. one player scores four or more points than his opponent, the high scoring player is the winner. Otherwise the game is a draw. Seven turns if time permits. points than their opponent, they win; otherwise the result is a draw. from, your own force and destroy the enemy’s. There is no prelim bombardment as both sides have their own engineers working in the sector. Remember forward deployers are set up after both players have set up other units. deployment alternates between players. The allied player will deploy the first such unit is he has one. come across each other whilst carrying out this vital mission. wins. There are three ways to destroy an objective, see below. The attempt can be made again next turn if they remain down. Two- An engineer team may carry out the process as above but will only need to roll a 2 or higher. down position and has armour 9 all around the vehicle, representing the difficulty in killing the vehicle. Take your designated table edge. The Axis player is the attacker. An objective will have been placed at the centre of the table on the ground. Note no order test is required to enter as part of first wave. marker will site under one of the guns. Ideally they will be on elevated ground. and may outflank if desired. wave are left in reserve and may outflank if desired. reserve are deployed after the defender has set up his other units. any point on the attackers table edge or either short edge and must be given a run or advance order. the end of the game he gains three victory points. base contact with the objective and no enemy units or artillery model is in base contact. A player with two or more victory points than the opponent wins, otherwise the game is a draw. There is no prep bombardment but is a special rule for air support. The map should include a road going from one large edge to the next, but somewhat open to attack. So the ally has to decide whether to risk using the road or not to advance or come up the flanks. any. Flanking is not allowed. to try and cause delays and slow logistical support.